Villa Park has been the home of Aston Villa Football Club since 1897 and has become Birmingham’s most iconic stadium. Offering 114 contemporary suites; designed for premium hospitality and events, at Villa Park we are proud to host a diverse range of events throughout the year alongside our sell-out football fixtures. We are looking to expand both our matchday and non-matchday squad of talented hospitality enthusiasts ready for Season 18/19 to enhance our operational excellence, and you could become Part of The Pride! 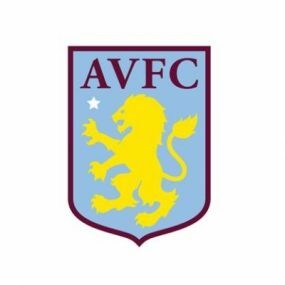 Our extensive matchday operation demands a multiskilled family of punctual, reliable and dedicated players to fulfil our continuous supply of first class service and delivery of legendary experiences, for everybody that steps foot into the home of Aston Villa. We bring in people who have a positive attitude, plenty of energy and a ‘can do’ mentality. It is our belief that technical skills can be developed; all you need is the will to succeed and grow with us. Leave the M6 at junction 7 and follow the southbound A34 Walsall Road. Take a left towards the University of Central England and then follow the signs for the A4040 to Witton. Taking the first left at the main roundabout and follow the signs towards Villa Park. Use Motorway M1, junction 21 to connect to the M6 at junction 4A. Travel northbound on the M6 to junction 6. Leave the motorway and follow the signs to Birmingham taking the A38(M). From the A38(M) take the first slip road on the left towards Aston. At the roundabout take the first exit (signed to Villa Park). At the next roundabout take the first left onto the A5127. At the first junction turn left onto Witton Lane and follow the signs to Villa Park. Aston Station (10 minute walk) or Witton Station (2 minutes walk). The main two bus routes servicing Villa Park are the no 7 and no 11. In addition, services 65 and 67 also operate within walking distance of Villa Park.